Mladá Boleslav, 5 September, 2011 - ŠKODA will present a world-premier design concept called MissionL at this year's Frankfurt International Motor Show. Close to the final production-ready design, this concept car reveals the look of the ŠKODA's sixth model line that is to become symbolic of the Czechcarmaker's planned model offensive. The new compact five-door vehicle will be launched in Europe, Russia andChina. In line with the brand’s internationalisation principles, this compact‘liftback’ will feature specific modifications in each of these regions. In addition,the Indian market will have its own version, a compact sedan. 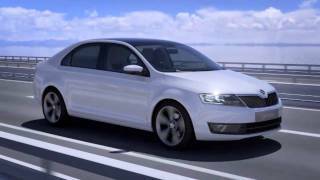 These steps arein line with the goals of ŠKODA's 2018 growth strategy that were set last year. The brand intends to increase its sales to 1.5 million vehicles by 2018.“Revealing the look of our new compact model, the MissionL shows exactly the directionour brand is going to take,” says ŠKODA Board Chairman Prof. Dr. h.c. Winfried Vahland.“The world premiere in Frankfurt gives a clear signal that ŠKODA is going full steamahead now. We are going to present a new vehicle every six months over the next two orthree years.”In line with its 2018 growth strategy, the brand is gearing up, investing heavily in newmodels, markets and production capacities. Starting in mid 2013, the Yeti will belaunched in the Chinese market and will be produced locally. 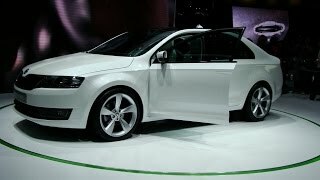 Furthermore, ŠKODA (incooperation with Shanghai Volkswagen) will produce a new compact model for thismarket from 2013, increasing the number of models produced in China to five. Nizhny Novgorod will start producing the Yeti in the last quarter of 2012. 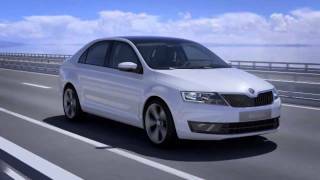 In India,ŠKODA will start production of a brand new compact sedan this year. The brand alsoremains focused on its traditional markets – Europe and the Czech Republic, its homemarket. Beside the Fabia and Octavia, ŠKODA's main plant in Mladá Boleslav will producea third model; the brand is already increasing the capacity of its production lines. DQ200 in its plant in Vrchlabí.